If you're looking for an un-put-down-able book, look no further than Katherine Webber's Wing Jones. It was so good that I read it in one setting, even staying up way past my bedtime to finish it. I'm usually desperate for my bed on an evening and tend not to read before I go to sleep but for a book as good as Wing Jones, I made an exception. Wing Jones is all about a young woman called... you guessed it, Wing Jones. She is not quite where she belongs but when her family is dealt a tragic blow, she discovers a wonderful talent for running that she never knew that she had. On the track, she finds the peace and friendship that she had always longed for but never really known how to find. Watching Wing's character development was a genuine pleasure. From those first bumbling, awkward teenage crushes to the strength and raw emotion she shows in the face of tragedy, I loved her so very, very much. The character is the real strength of the novel, to the point that it felt like an honour to read her story. This is also paired with a superb plot, which is both brilliantly realistic and all kinds of creative all at once. There are some really wonderful and strange elements to the narrative that make it feel utterly magical while still being rooted in a recognisable world. I almost wish that I hadn't read this or could conveniently forget everything about it just so that I can experience how fantastic it is all over again. I can't believe it's time to announce our third BB book club read already! 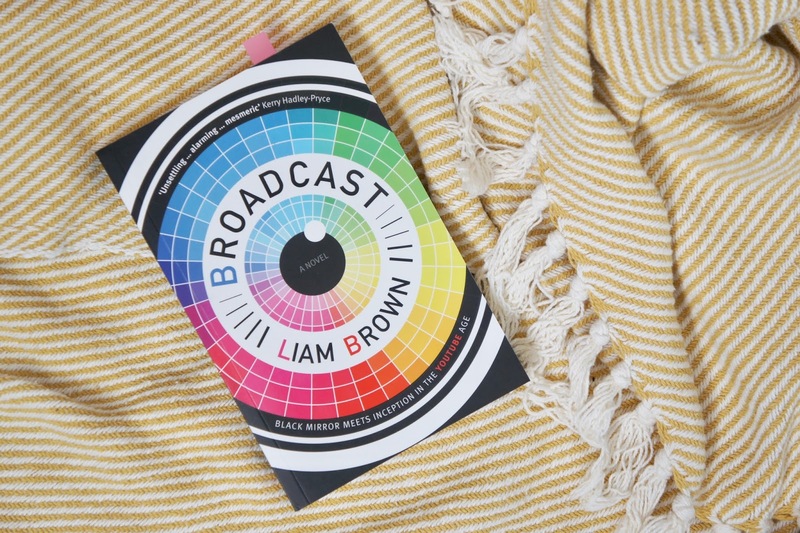 I originally had a short story collection in mind for my first book club pick however after January and February's titles both fell under this umbrella I decided to mix things up for March's selection and settled on something a little different; Liam Brown's Broadcast. Back in November last year Ria and I took a trip to Libreria in Shoreditch and spent a little time browsing the shelves (and sheltering from the rain!) in search of book club inspiration. Drawn in by the promise of “Black Mirror meets Inception in the YouTube age” Ria plucked Broadcast off the shelf and passed it to me, declaring it sounded like 'my kind of book'. Of course, after 5+ years of running a book blog together Ria knows what she's talking about and after taking a quick look at the intriguing blurb (and striking cover design) I decided to buy a copy. The idea behind MindCast is simple. We insert a small chip into your skull and then every thought, every feeling, every memory is streamed live, twenty-four hours a day. Trust me - within a few months you'll be the most talked about person on the planet. According to the blurb, Broadcast follows vlogger David Callow who is offered the chance to star in a new online show, quickly becoming a huge celebrity and leading him to rethink his decision to share his life with the world. Commenting on social media culture, it sounds like the story is set to get pretty dark as David rebels against MindCast and discovers more about the person or people behind this truly terrifying idea. Although I wanted to dive in and find out more back when I bought the book I also knew that it was a strong book club contender and at just shy of 200 pages Broadcast fits our theme of 'short stories' perfectly (online listings all seem to say the book has 288 pages but my copy definitely has 195!). The book had been sitting quietly on my bedside table for a few months although I have to confess I pre-read it earlier this month (twice!) in order to plan some related content. Of course, I won't give anything away other than to say I really enjoyed it and I hope you will too! If you decide to join in with the BB Book Club this month you can let us know your thoughts on the book by completing this Google form by 23rd March. You can also use the hashtag #bookshelfbookclub to share your book photos and thoughts with us. No matter where in the world you're based, you can pick up a copy of Broadcast over on The Book Depository, or head to your local library. I hope that you're excited to read our March selection but don't worry if it doesn't sound like your thing - check back next month for Kelly's first book club pick! Thank you to everyone who read along with us this month! If you would like to get involved with next month's BB Book Club check back here tomorrow where Erin will be introducing her selection for March - we think you're going to love it! You can also sign up to our mailing list to make sure you don't miss out on any future book club updates. Must like A History of Magic, this paperback is a brilliant combination of fun facts about the Harry Potter series and real artefacts from the British Library. A Journey Through a History of Magic is very similar to A History of Magic, but aimed a younger audience. That didn't stop me buying a copy, however, and I thoroughly enjoyed flicking through it. As well as pieces from the British Library, and pages of illustrations from Jim Kay and Olivia Gill, there are tidbits of information from JK Rowling and her writing process. These are also in the 'adult' version, but in addition to these great aspects there are little activities every so often. They give kids easy to follow instructions to create their own potions, invisible ink, and heaps more. I loved this more interactive approach to the book. While it is aimed a younger readership, no matter what your age it's a great read, and I definitely recommend checking it out if you haven't already. 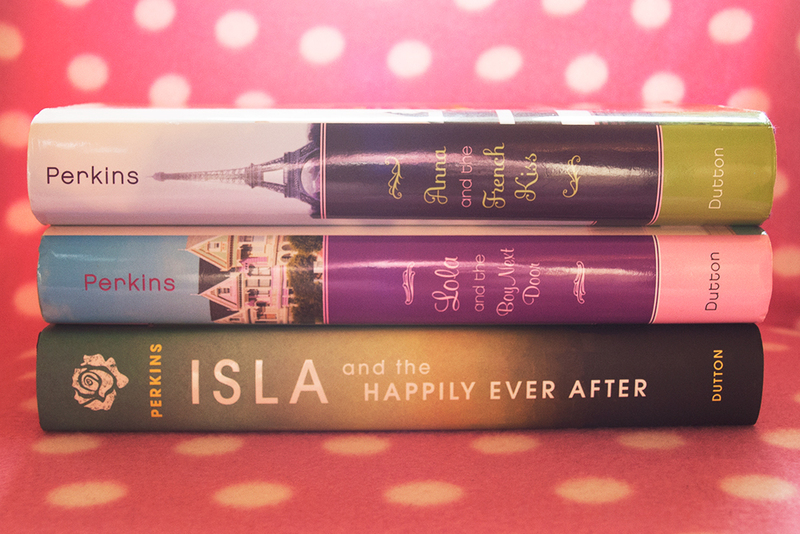 Another year, another Popsugar Reading Challenge! Similarly to last year I'll be sharing updates here every so often over the next twelve months as I attempt to cross off as many of the 2018 prompts as possible - wish me luck! Surprisingly I managed to make a good start on the challenge this year, crossing off three prompts within the first week of January, and have done a little more planning when it comes to picking out my reads for the rest of 2018 so I'm feeling pretty optimistic. Today I thought I would share a little bit more about the first six prompts I've completed. This short story collection was top of my 2018 TBR so I decided to pick up a copy in January. The books contains a really unique selection of tales and as with most collections I enjoyed some more than others. The ones that stood out to me as particularly memorable were Animals, Human Satellites and Aunt Libby's Coffin Hotel. Our January book club pick was this collection of illustrated short stories, a companion to the Miss Peregrine's Peculiar Children series. I understand that these tales are mentioned several times through the books although I have to confess I haven't yet read them, but if the stories in this collection are anything to go by that will change soon! Overall I really enjoyed the book and it has given me high hopes for the rest of our 2018 book club reads. Far From The Tree tells the story of three siblings meeting for the first time. After two were adopted by different families and the third grew up in the foster system, the three teens are brought together and the novel follows their journey as they learn more about each other and themselves. I didn't choose to read the book with a challenge prompt in mind (I just really enjoyed the author's previous novel) but I really loved this one and would highly recommend it! Keep an eye out for my full review here on BB next month. 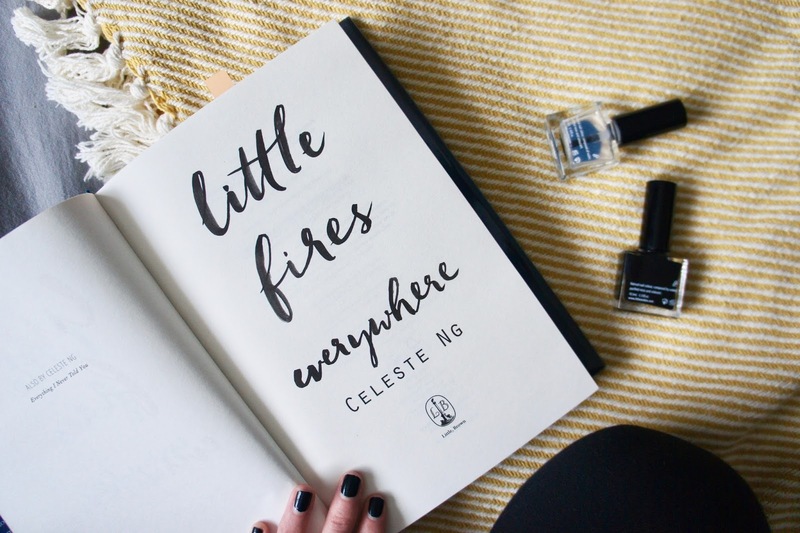 There were so many titles to choose from for this prompt but the one that was already highest on my TBR list was Little Fires Everywhere; 2017's 'Best Fiction' winner and the book everyone has been talking about for the past few months. From the writing style to the characters, I really loved everything about this one and it certainly lives up to the hype. If you haven't picked up a copy yet it's definitely one to add to your 2018 TBRs! There are quite a few celebrity book clubs out there to choose from but I've been closely following the selections over at Belletrist, created by Emma Roberts and Karah Preiss. There were several Belletrist book club picks on my TBR, but I had already picked up a Kindle copy of Marlena, last May's pick. Narrated by Cat, the book explores her short-lived teenage friendship with Marlena and the affect her death has had on Cat's life. Overall it was an interesting read, but sadly not one of my favourites. As you can see I've really been enjoying short story collections lately! This collection of fifty true stories transcribed from the organisation's live storytelling events is full of fascinating and unique tales that range from heartwarming to heartbreaking and everything in between. I'd definitely recommend picking this one up, or subscribing to the podcast if you'd prefer to hear the voices behind the stories. 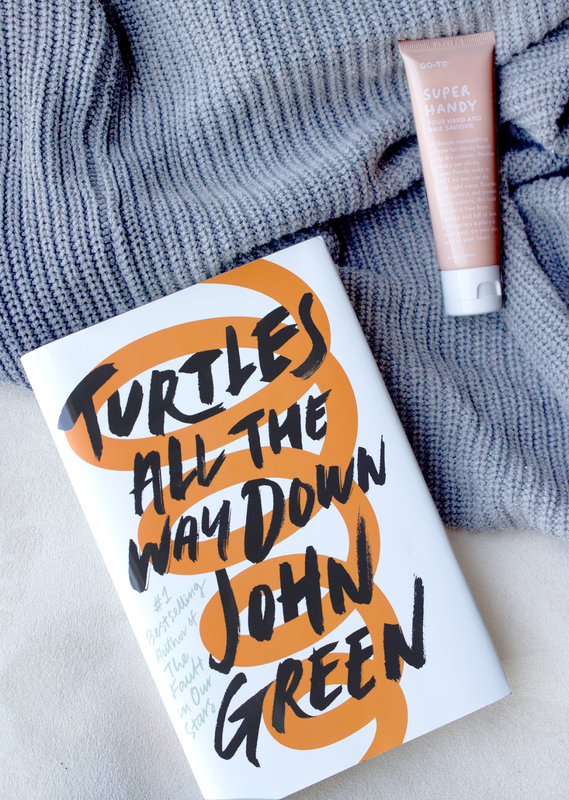 Send Us Your Thoughts On Our February Book Club Pick! We really hope you've been enjoying reading our February book club selection and can't wait to hear your thoughts. This is just a little reminder that you only have until this Friday (23rd) to submit your feedback - click here to join in! 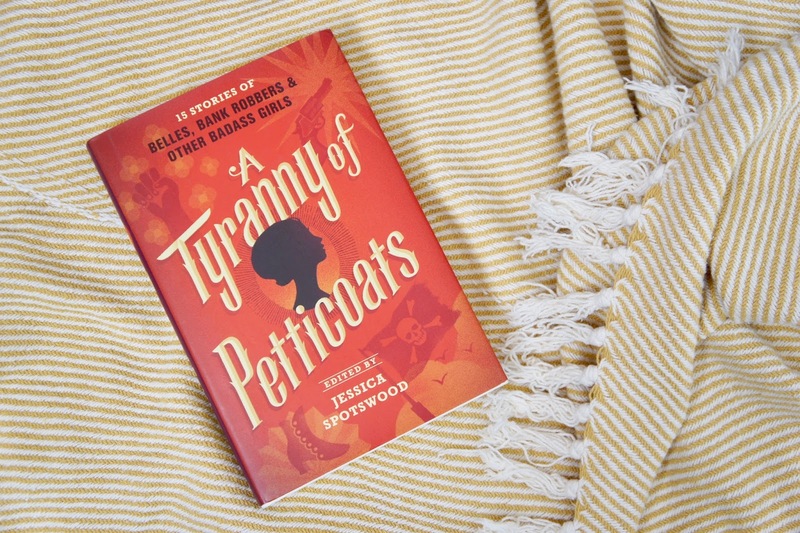 Don't forget to use the hashtag #bookshelfbookclub on social media to share your photos of A Tyranny Of Petticoats with us. 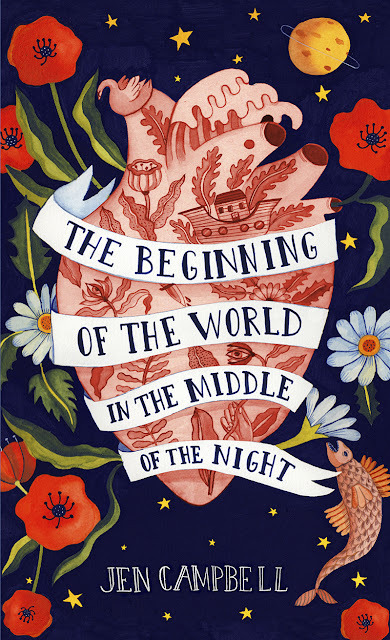 The Beginning of the World in the Middle of the Night is an enchanting and often dark mixture of fairy tales in the modern world. There are hearts purchased online, children who grow vines in their hair, and a mysterious new planet. There is also a young boy just trying to understand his family, a soldier who walks into a stranger's kitchen, and a couple who spend the night discussing how the world began. In other words, when reading The Beginning of the World in the Middle of the Night you never know exactly what to expect. 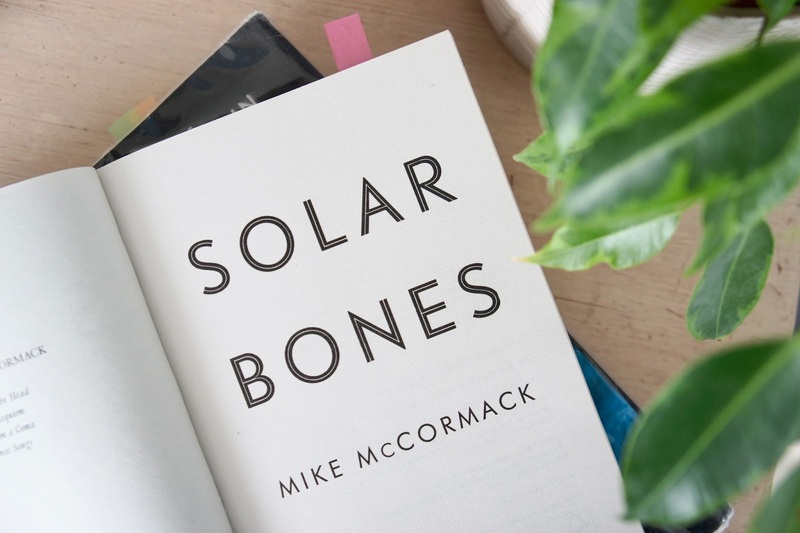 As with any short story collection, readers will connect with some stories more than others. Personally, my favourites were 'Aunt Libby's Coffin Hotel' about a girl and her aunt who run a hotel on an island, where guests can rent a coffin to sleep in for a night, and 'Little Deaths' about a world in which ghosts are caught, bought, and sold in jars. I would have loved for both of these to have been a little longer so that I could have learnt more about those worlds and the people in them. There were, of course, some stories that I didn't like so much, but while I didn't quite connect with 'Jacob' or 'Plum Pie. Zombie Green. Yellow Bee. Purple Monster' I am certain that there will be plenty of other readers who will find those to be their favourite stories in the collection. 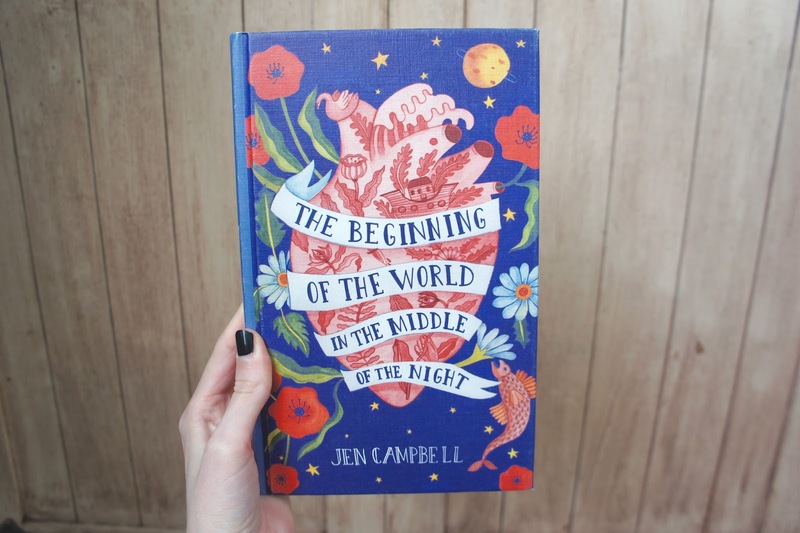 If you're a particular lover of dark, whimsical, fairy tale inspired short stories, then you definitely won't regret picking up The Beginning of the World in the Middle of the Night and with such a variety of different story telling techniques and subjects displayed, there is bound to be something here for any short story lover. I literally just, say, 20 minutes ago finished the second book and I still slightly have tears in my eyes, so let's get on with the show! I took a little while to get into this book, I wasn’t really sure what it was about apart from the fact that lots of booktuber’s raved about it, so when it started I wasn’t sure I was going to like it. Then Etta was introduced and her violin performance drew me in, and the magic started. It initially reminded me of A Darker Shade of Magic, just with Nicholas and Etta instead of Kell and Lilah. But obviously the more the story evolved the more I saw it wasn’t that. When I told people it was about time travel they assumed a science fiction type book, however, this feels more realistic and fantasy at the same time. Obviously, time travel is fantasy but the way the story is told you legitimately feel like it could be happening now in real life, it’s described so effortlessly and not totally absurd that you wouldn’t believe it. I really enjoyed the story, however, I felt the pacing was off. The beginning was too slow and it, therefore, took a while to get into the story. The middle was perfect, everything ran nicely and gave you enough time to take in all the details and understand what was going on. Then the end was a mess, I was 40 or so pages from the end and nothing 'end like' had even happened, I didn’t understand how they were going to end it with that few number of pages. But, then everything happened and it just felt rushed and nothing like the rest of the book. Seriously a disappointment. Pretty much the exact same thing happened with Wayfarer, I'm not sure if it's just Alexandra's writing as I've read The Darkest Minds, the first in her other series, before but I'm not sure if I remember if the pacing was an issue with that. I planned to post this review back at the beginning of January but I just could not get into this book. It took me so long to get through the first 100 pages and finally get stuck in with the plot that over a month had flown by. I wouldn't blame you if you'd picked up these books before and not bothered reading further than the first few chapters. Even with the cliffhanger left at the end of Passenger the first 100 pages of Wayfarer was a chore. Once past that, I got stuck in and got through the rest in a couple of days. Again the ending had way too much of a lead up to then be over in a few pages. But I will say there's a lot more minor action going on in Wayfarer than Passenger as it's more about the war of the families and less about Nick and Etta's relationship. Speaking of Nick and Etta's relationship, yes I did cry near the end when the big reveal happens (I won't go into it any more than that as spoilers) I shed maybe a few more tears than I care to admit. Bracken's character writing is definitely much better than her environment and action writing. You really connect with the characters, not just Nick and Etta but some, if not most, of the minor characters as well. It's definitely the lack of descriptions that let down the story. These characters are travelling through time, to different areas of the world and history and it's sometimes hard to even imagine where they are, especially without any prior knowledge of the time and place. There were moments where I lost track of the story because of the lack of descriptions, I thought they were on a boat but then a character climbed out of the window into a tree as they were suddenly back in the house. While this all may sound like a lot of negatives, I definitely enjoyed both the stories and do recommend them. I just feel they could both lose a 100 pages each to be that little bit better. I rated them both 3.5 stars (rounding up to 4 stars on Goodreads) so ya know, they're not top of the TBR pile but they're worth being in it. Plus, their gorgeous covers are worth a slot on your bookshelves even if you don't read them for ages! Some books are just so deliciously dark that you are immediately in their power. They keep you close while they shock you, upset you and make you fall completely and utterly in love with them. The Call is one such book. This is set in a world where every teenager will be taken to another land without warning, where they will have to face a terrible hunt. And with only one in ten of them making it, their chances of survival are slim. Nessa has been training since she was a child, determined to prove the people that don't think she will survive wrong. As more and more of her friends are taken, The Call seems even more dangerous. The Call is a brutal and fast paced novel that will keep you on the edge of your seats. I was so on Team Nessa that it hurt and I was basically biting my nails as she struggled to survive in dark and dangerous times. It isn't a book that holds back so if you want a light adventure story, this probably isn't the book for you. It revels in the uneasy and the nasty, while managing to maintain the delicate balance between imaginative and being gory for the sake of it. If you are a fan of grimdark or YA dystopian, this is definitely a book that you should check out. I can say with assurance that it does just that; it really is a fascinating journey. What I loved about this book (created by Bloomsbury, J.K. Rowling and the British Library for the 20th anniversary in 2017) is that it combines everything Harry Potter and the world we all know and love, with the very real world we actually live in. Chapters are dedicated to various subjects - Defence Against the Dark Arts, Divination, Charms etc - and they tell of real artifacts from the British museum that have been used for similar reasons. In the Divination chapter, for example, there are real charts of tea leaves and how to read them, as created and read by real people, not just Professor Trelawney. There is information about mandrakes, dragon's blood, centaurs, broomsticks and cauldrons. The images are a mixture of photographs from the artifacts in the museum, illustrations from both Jim Kay and Olivia Lomenech Gill and their illustrated copies of Philosopher's Stone, Chamber of Secrets, and Fantastic Beasts and Where to Find Them. There's also manuscripts from Rowling's drafts of the stories, and images she sketched out herself. I learnt a lot when I read this book, about the incredible pieces in the museum, and how people actually used things like star charts and the study of plants in their actual lives. It's a fantastic combination of fiction and reality. Have you had a look at A History of Magic? What did you think? 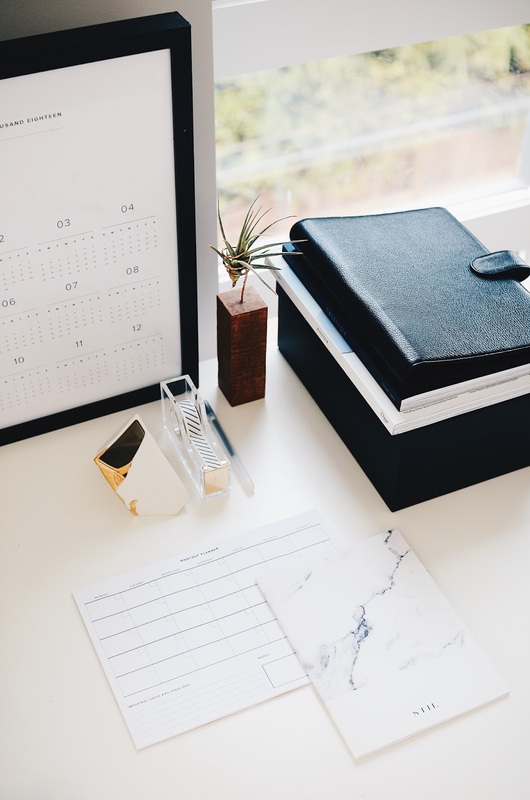 I'm not usually one to set monthly TBRs as I’ve been known to fail miserably in the past, but with my library reservations lined up and a few reading challenges underway, today I thought I'd break tradition and share my February reading list with you. 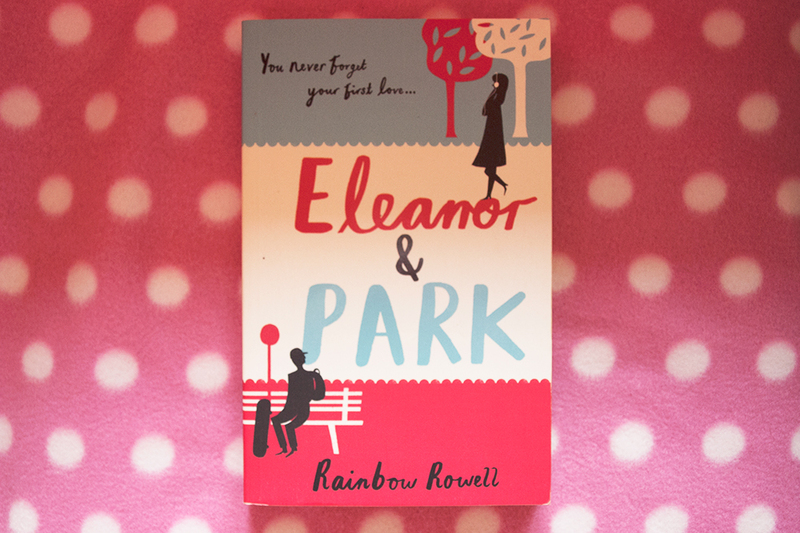 First up is of course our February book club title, which this month was chosen by Anjali. 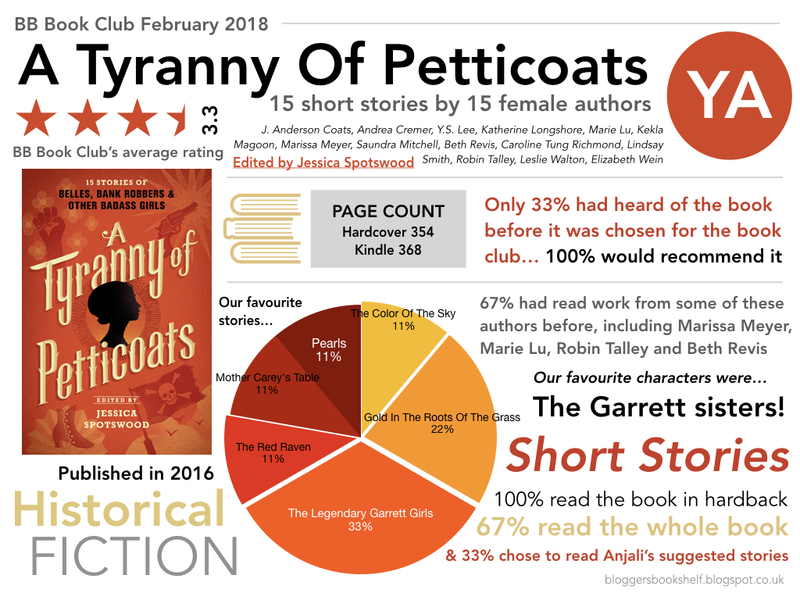 A Tyranny Of Petticoats contains fifteen short stories penned by fifteen different YA authors, including three whose work I've read before; Marie Lu, Beth Revis and Marissa Meyer. The book takes the reader on a historical journey from 1710 to 1968 and promises tales of 'badass girls'. I've really been loving short story collections lately (this will be the fourth one I've read this year) so I'm really looking forward to it! If you would like to join in and readalong with us you can find out more about Anjali's reasons for choosing the book and how you can send us your feedback in this recent post. This book has been sat on my Goodreads TBR list since 2015 and comes recommended by Ria as a good introduction to Murakami (I'm also planning to read IQ84 this year as part of my 'vow to read list'). I recently discovered that my local library has this one in stock so I've reserved a copy and am looking forward to finding out more about the mysterious and unusual story. It's also the title I've selected for the 2018 Popsugar Challenge prompt 'a book that involves a bookstore or library'. Speaking of things that have been on my Goodreads TBR since 2015, I've owned a Kindle copy of Station Eleven for over two years now so there's really no excuse! This coupled with the fact that it's one of those books I've heard nothing but amazing things about landed the book on my 2018 'vow to read' list. Looking at the synopsis it sounds set to be a really unique take on the dystopian genre and I can't wait to finally read it. Whilst browsing the shelves at Waterstones in search of book club inspiration, I stumbled across this book when I was drawn in by the beautiful cover design. Containing thirteen spooky ghost stories from a selection of authors including Ruth Rendell and Rudyard Kipling this book sounds like Halloween come early to me. As we all know at this point (broken record over here...), short story collections are a big favourite for me right now and I'm hoping this selection won't disappoint. This was the only book from my January library haul that I didn't quite manage to squeeze in last month. Whilst I don't know anything about the plot, I'm very intrigued by the fact that the book doesn't have chapters or punctuation and takes place over just one hour. In my library haul I mentioned that I'm expecting this book to take me out of my reading comfort zone so I'm really keen to find out more. As it's my turn to pick the BB book club title next month, I'm also planning on reading the book I've selected beforehand in order to allow me to tailor the feedback form to the book. Of course, I'm keeping quiet about the book's identity until the announcement post in a few weeks time, but I can reveal that it's a short novel, making it the first BB book club pick that isn't a short story collection. I'm excited about the title I've chosen and I hope you will be too! 1. Literary London - if you're planning a trip to London sometime soon you'll adore Carolanne's guide to the best bookworm hangouts in the city! 2. Tackle Your TBR - we always feel like our TBR piles are getting out of control. If you're feeling the same way check out this awesome idea from Lia! 3. Inspiring Reads - in this post actress Tamera Mowry shares her top recommendations for women and mothers. 4. A Bookish Recipe - how beautiful are these apple roses created by Alba? 5. 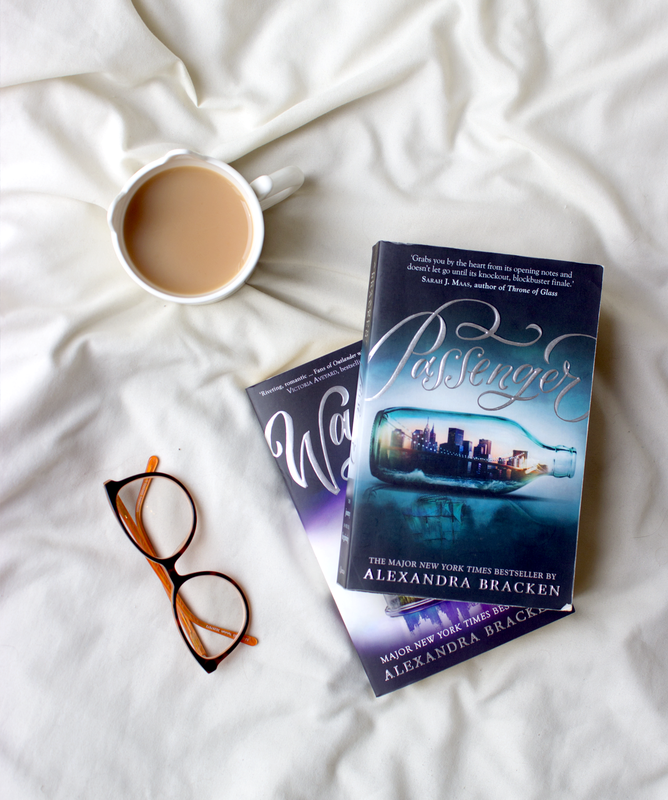 Backlist Books - here at BB we love reviewing both new releases and older titles so we loved Aimee's post on why we should all be reading and reviewing backlist books. 6. Wildest Dreams - if you're looking to treat yourself in 2018 check out this YA subscription box! 7. Strange Books -Victoria Schwab's recent article over at NPR is such an interesting read! How do you feel about the genres and categories we use? 8. Feel-Good Reads - Avelina has some great recommendations for this cold and often miserable time of year. 9. Mini Reviews - we adore all of Katie's illustrations but we particularly love the bookish ones that accompany her mini book reviews. 10. Graphic Novels - if you're looking to step out of your reading comfort zone and try graphic novels this year you'll love Wordery's top 20 picks. 11. In Case You Missed It... - our final link of the roundup is to the past issues our very own (very new) newsletter. If you like what you see we would love you to subscribe! It's February and you know what that means. It's time for Valentine's Day content. Far be it from me to defy convention, so today I'm here to talk about five fictional romances that make me swoon and that I think would be the perfect stories to snuggle up with on Valentine's Day itself. Because honestly, who needs a date when instead you could read a good book without anyone else trying to share your heart shaped chocolates? I know. I'm very wise. So snuggle up with your favourite snack and get ready for some swoon-worthy recommendations. Let's start off with a classic. My personal all time OTP, Mia Thermopolis and Michael Moscovitz. 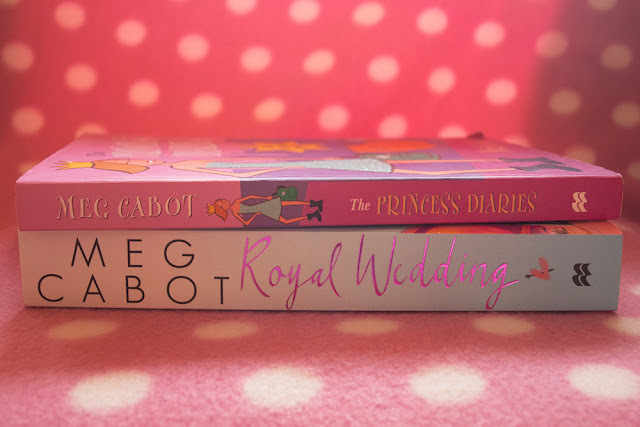 Don't let Michael's disappearance in the second Princess Diaries movie deceive you, in Meg Cabot's original books Michael and Mia are a constant thing. They have their ups and down and at times Michael struggles with Mia being the sole heir to a small European principality but at the end of the day, they get each other's weird, and that's the key to true love. Lara Jean and Peter K's story starts with a letter Lara Jean never wanted sent but it really gets going when Lara Jean asks Peter to pretend to be her boyfriend to save face with the boy she really likes. And we all know where fake-dating ends up. 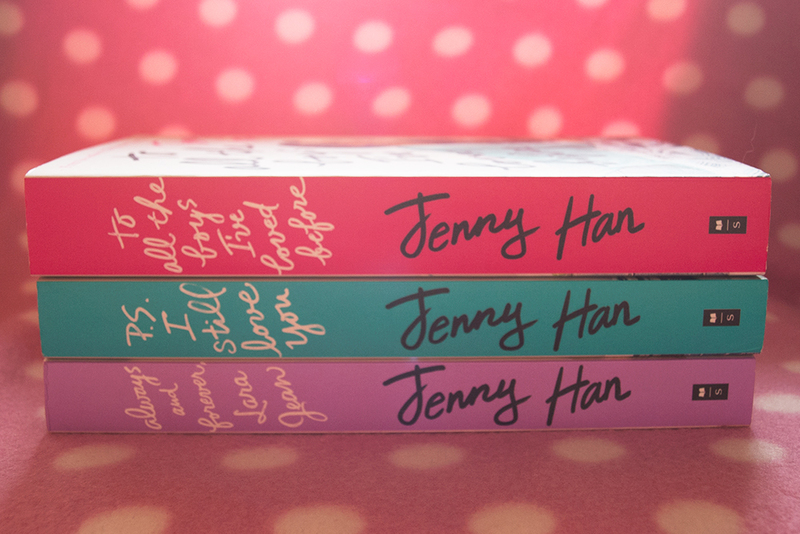 Lara Jean has a few suitors throughout the series, some swoonier than others, but there's something about Peter and Lara Jean that just works, even when they aren't so sure of that themselves. 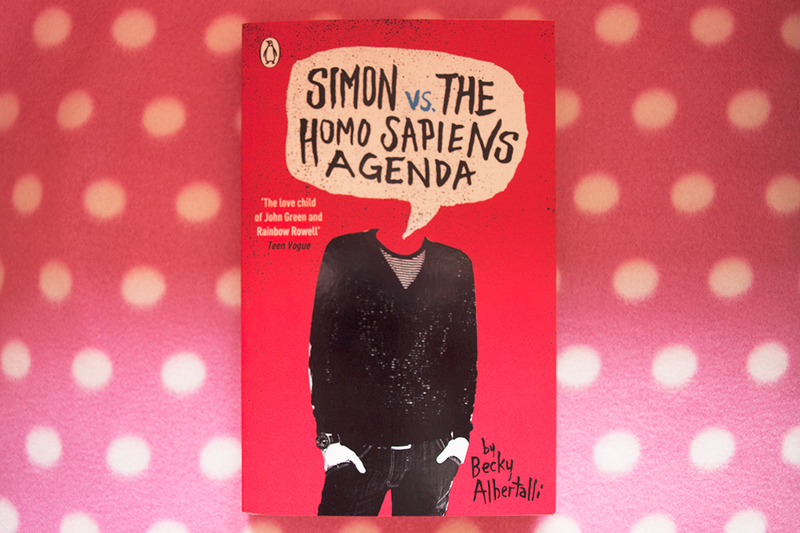 Simon and Blue spend most of their novel unaware of each other's identities, communicating only by email, but that doesn't stop them from being there for each other when they're both going through difficult times. The anonymous nature of their relationship at first allows them to be candid in a way they might not be if they weren't keeping their names secret and watching them go from pen pal confidantes to something more is enough to make anyone swoon. Eleanor and Park each have their own troubles, with identity, with their home lives, with their peers, but they find each other on the school bus and form a connection based on music and comic books that helps them both escape from those troubles for a while. Ultimately, of course, their troubles don't just go away but these two teens support each other through those troubles the best way they know how, and it's that that makes their romance so special. 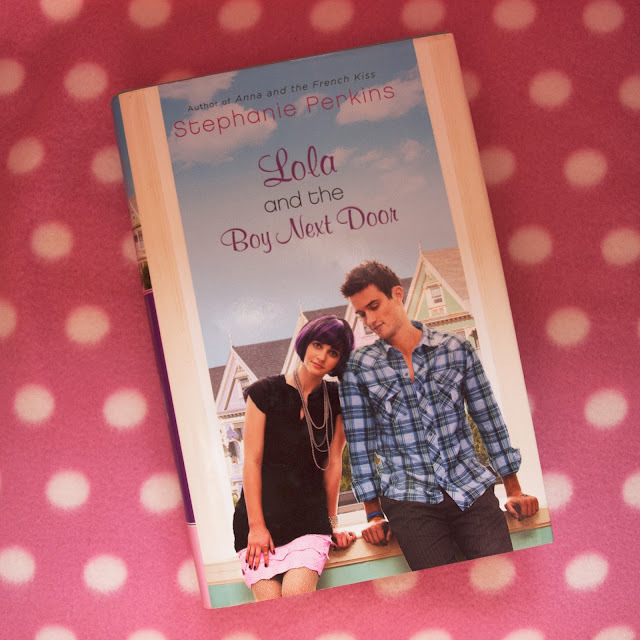 If there's one writer who really knows how to write a swoon-worthy romance it's Stephanie Perkins. Whether it's Anna and Etienne falling in love in Paris, Lola and Cricket coming back to each other in San Fransisco, or Isla and Josh facing the challenges of young love together in New York, Paris, and Barcelona, pick up any of Stephanie Perkins's three companion novels and you're guaranteed a heart-meltingly good time.